The University’s Department of Computer Science is partnering in a Big Data Centre (BDC) launched by the US Department of Energy and US technology giant, Intel. The US Department of Energy hosts the National Energy Research Scientific Computing Center (NERSC) which is one of the largest scientific computing facilities in the world and is located at Berkeley National Laboratory. NERSC is teaming up with Intel and five universities, including Liverpool, to establish a new Big Data Centre to work on code modernization and to tackle real science challenges. 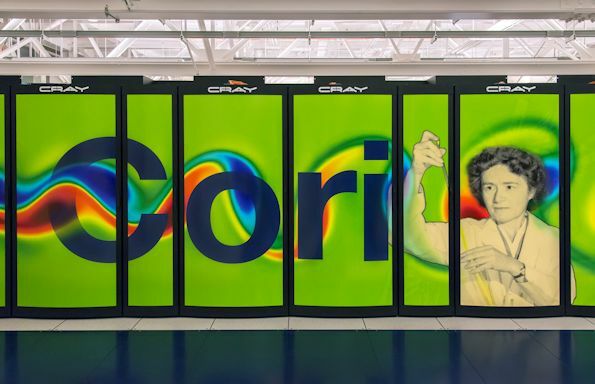 The BDC will test to see if the current the NERSC flagship supercomputer, named Cori, can support data-intensive workloads that require analysis of over 100 terabytes datasets on 100,000 cores or greater. It will do this through the creation of five Intel Parallel Computing Centers (IPCCs), one of which will be based at the University - details of which can be found here. The Liverpool element will support a PhD studentship, Grzegorz Muszynski, to work on developing topological methods to analyze climate datasets. The techniques are being used to extract stable, low-dimensional manifolds, and robust pattern descriptors for weather patterns.Grzegorz will be jointly supervised by Dr Vitaliy Kurlin in Liverpool and Dr Michael Wehner at Lawrence Berkeley National Laboratory. His PhD topic is "Topological Analysis of the Climate System". Liverpool along with Oxford University are the only two UK universities involved in the BDC. In the US, the BDC also involves the University of California-Berkeley, University of California-Davis and New York University. Professor Katie Atkinson, Head of Department of Computer Science at Liverpool, added: “It is a great privilege to be part of this new collaborative big data project which recognises Liverpool’s strengths and expertise in Data Science."